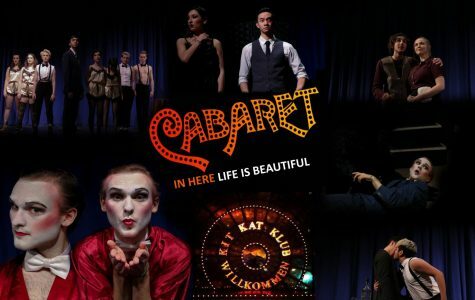 Splinter Group's "Cabaret" marked the first time the group has put on two full-length shows in one year. 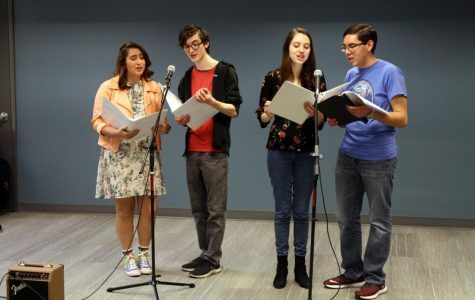 The Fordham Theatre performance class of 2019 played lovers, siblings, and many other characters in this year's Performance Showcase. 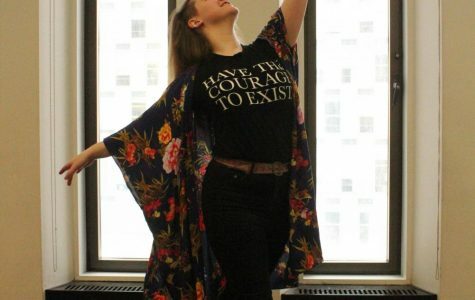 Raised in a household filled with theater and dance, Kaylie Groff, Fordham College at Lincoln Center (FCLC) ’20, has always been comfortable in creative spaces. Theater is a beautiful art. However, we tend to focus on what is shown on stage rather than the behind-the-scenes work. 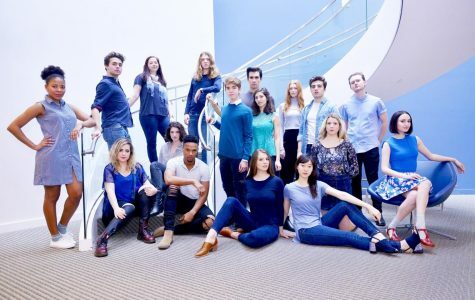 Meet Alyssa Rosenberg, former poli-sci major turned costumer. 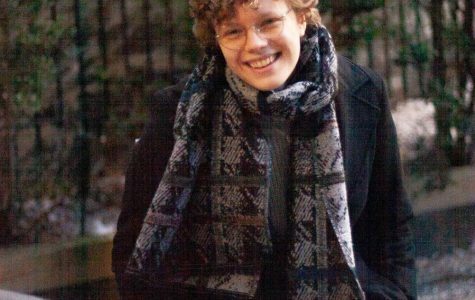 Vivian Brown, FCLC '22, aims to bring a more feminist bent to a profession dominated by men. 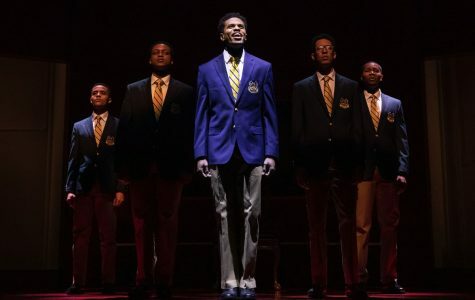 “Choir Boy,” first presented at Manhattan Theatre Company in 2013, is not simply a musical play — it is itself a spiritual whose song, sung triumphantly by the bountiful talent of its leading star, Jeremy Pope, rises from its stage. 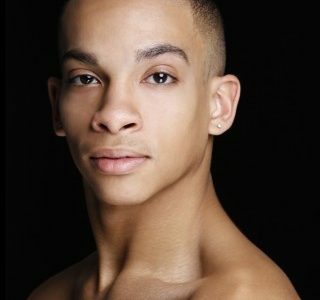 Gabriel Hyman, FCLC '15, tackles the challenges of performing on Broadway. “Awake” has evolved into a nine-scene collection of conversations on race, sexism, gun violence and immigration. 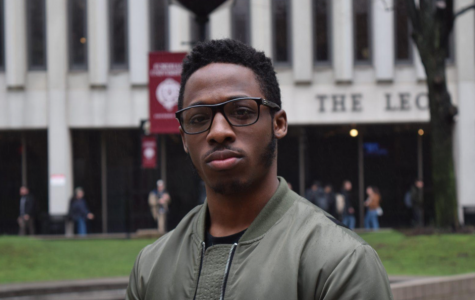 The Ensemblist released its inaugural list of Broadway’s “Ones to Watch,” and on it is Fordham’s own Wayne “Juice” Mackins, Fordham College at Lincoln Center (FCLC) ’19. 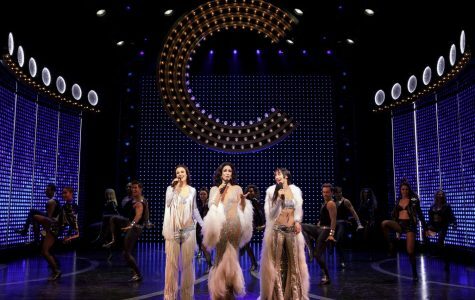 If the makers of “The Cher Show,” among whom the real Cher is a producer, thought the pure divadom of its subject, dressed in all the gloriously gay, sequined and campy stylings of our favorite dark lady, could save the bio-musical from itself, they were holdin’ out for love. 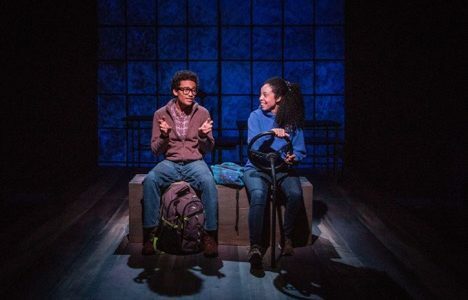 Though Kennedy was by no means perfect, the play presents us with the portrait of a citizen who has the passion and guts to help make our country just for everyone.